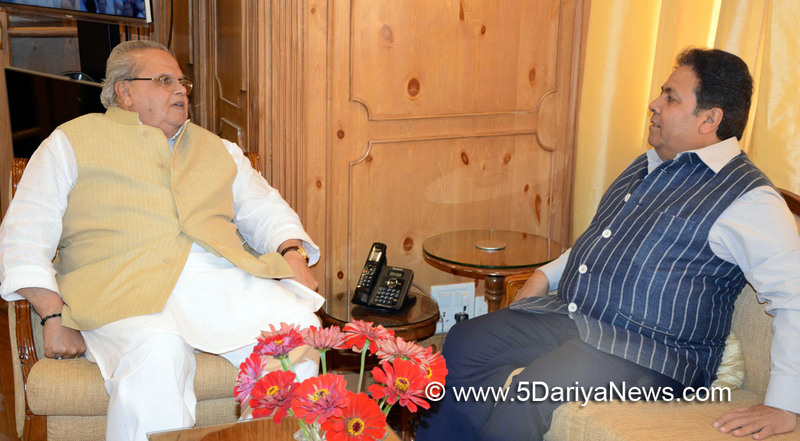 Rajiv Shukla, Chairman of the Indian Premier League and former Union Minister met Governor Satya Pal Malik at the Raj Bhavan here today. Governor and Sh. Shukla discussed various matters relating to promotion of sports in the State. Governor emphasised the vital importance of sports in the holistic development of the youth and urged Sh. Shukla to provide enhanced opportunities to the youth of the State for participation in national and international cricket competitions. Sh. Shukla assured Governor that he will take every possible step in his capacity as Chairman of IPL to promote cricket in the State by providing world class level training to local youth, organising talent hunt events and by sending national level cricket teams to play tournaments in the State.